Community Driven Skins Package: With over 200 skins per chassis, this has been a great community driven movement. We wanted to include everyones work that took the time to paint a skin, whether it be skins from a graphic artist or a first time painter, youll see many different skins in the mod. 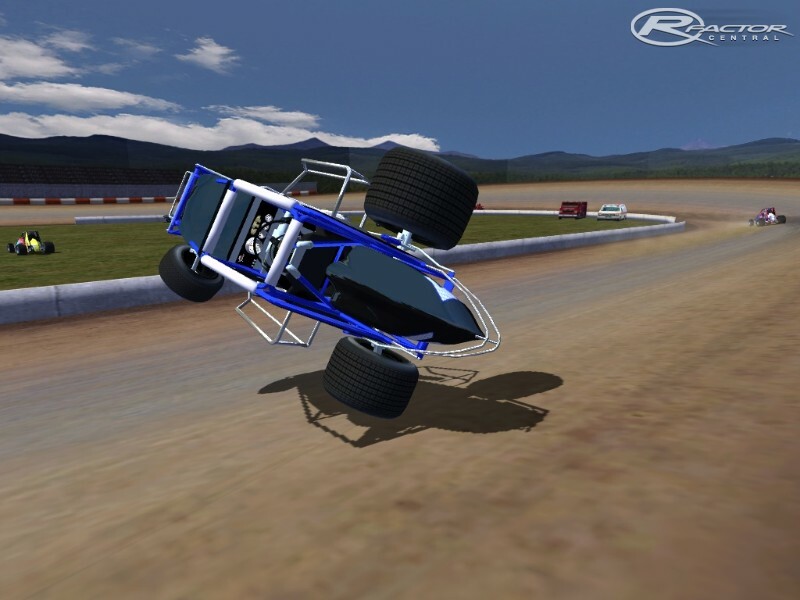 Youll find many real life drivers also, from World of Outlaws to USAC to All Stars and PA Posse drivers. Enjoy the broad selection!! 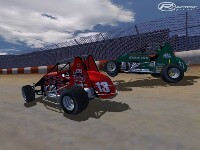 410 Winged Sprints: 900HP Monsters that will keep yer adrenaline pumping til the checkered flag! 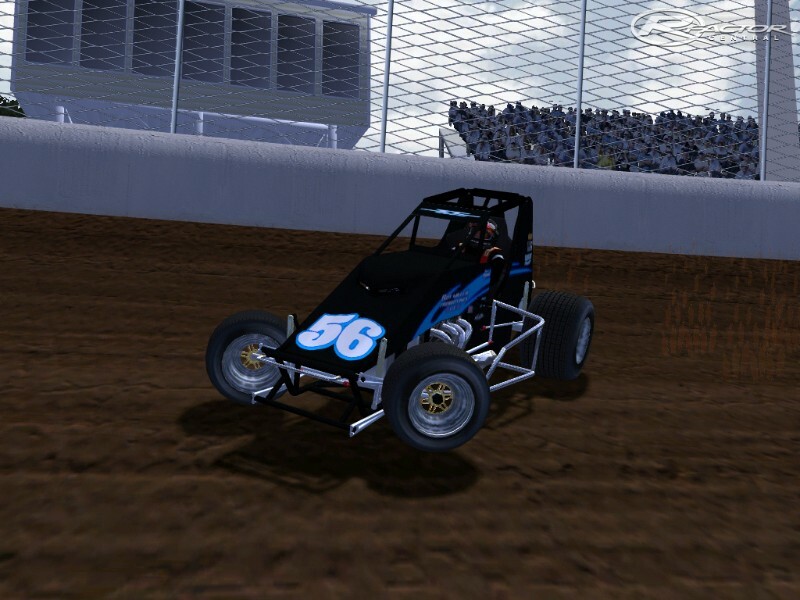 Non Wing Sprints: 822HP Animals that allow for some sliding or 3 wheeling on demand, this chassis is brand new and has been a favorite of the beta testers through the testing phase. 360 Winged Sprints: 719HP Beasts that are a whole new addition for us, they are a little slower than their 410 counterpart but youll find the driving to be very smooth and exciting. Upgrades: 6 different rim styles, 4 different hoods, 2 body styles, sunguards, rock screen and nurfbars. 2048 Resolution: This is for high performance computers with a Geforce 8800 and a dual/quad core processor. 1024 Resolution: This is for the majority of the downloaders, as it increases performance at a barely noticable lowering of the skin quality. Special thanks to all who spent time on this mod over the past few months, the list is great so please check the special thanks file in the mod folder. Update v1.1 includes updated helmet to close the visor when racing, optional upgrade to turn off gauges in the cockpit, about 54 new skins and some other minor tweaks. You must have v1.0 installed prior to installing the 1.1 update. NOTE: This does not effect the SBS WOO 2007 mod, so you do not have to remove the 2007 mod. However if you were a Beta Tester you need to remove any previous 2008 beta installation. Do this via the start menu (start button>programs>sbs racing). Youll find links to setups, templates and rankings also below. 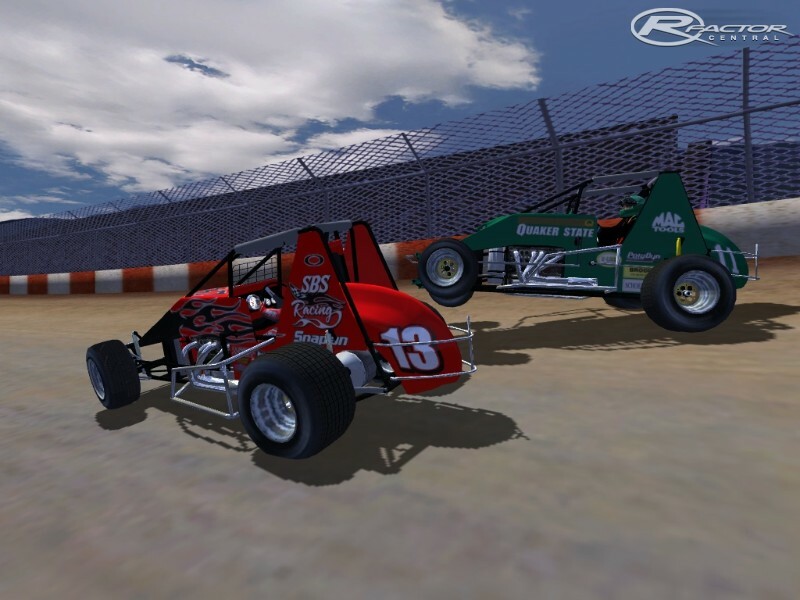 Also there is two links to the Dirt Track Packs below they include almost all the dirt oval tracks to date, about 40 in each pack, and are about 500mb each. There are currently no car skins available for SBS Sprints 2008. If you are a painter you can share skins for this mod via the Car Skins area. Visit the Spray Booth for painting tips & tricks. Thanks Ken, I'll try that track. My internet conection is not fast enough for racing online. I've been using this mod & think is great. Love the sound. I have tryed several US tracks & as I are in New Zealand have several of those. I seem to have one problem no matter what track I'm on. The AI apponents seem to finish up going slowly along the fence line in the opposite direction. I currentl have the 1.0 2048 version. I tryed adding the update but didn't notice any advantage. Hi gius I am from south africa and we also have sprint racing here but only on tar or as you guys call it asphalt! Would be great if you guys can somehow model some nice slick smooth tires instead of the dirt grooved tires on the sprint, would really be nice to drive on tar ovals! Although I drive the sprint as is now on tar but man have to smoke them tires a lot to get around those bends lol I guess the grip is a factor! I will help where I can, so please let me know! im trying to get the RFM for this mod can you/ anyone help me? ?